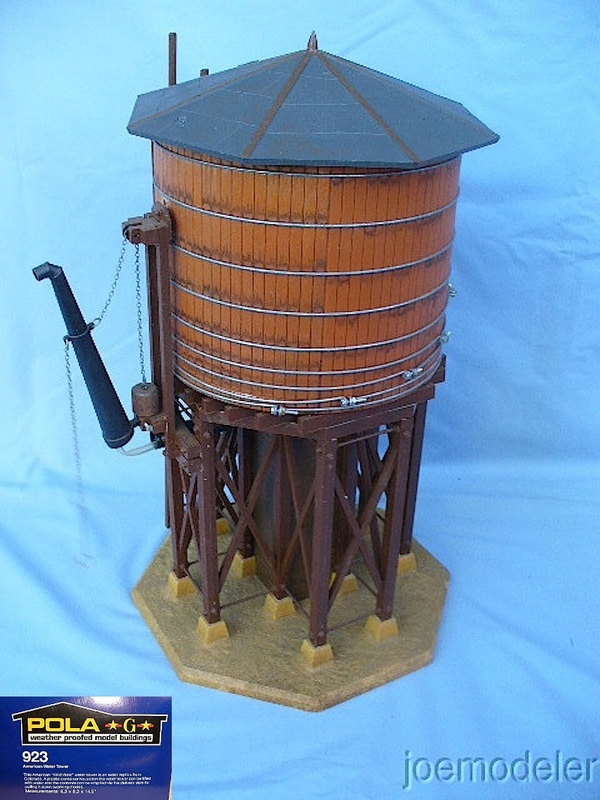 This American "Wild West" water tower is an exact replica of one in Colorado. A plastic container housed in the water tower can be filled with water and the content can be emptied via the delivery pipe by pulling it down. Dimensions: 8.3 x 8.3 x 14.5 in.